FilmBar and Los Bandidos Supporters Group are hosting a special fundraiser tomorrow! 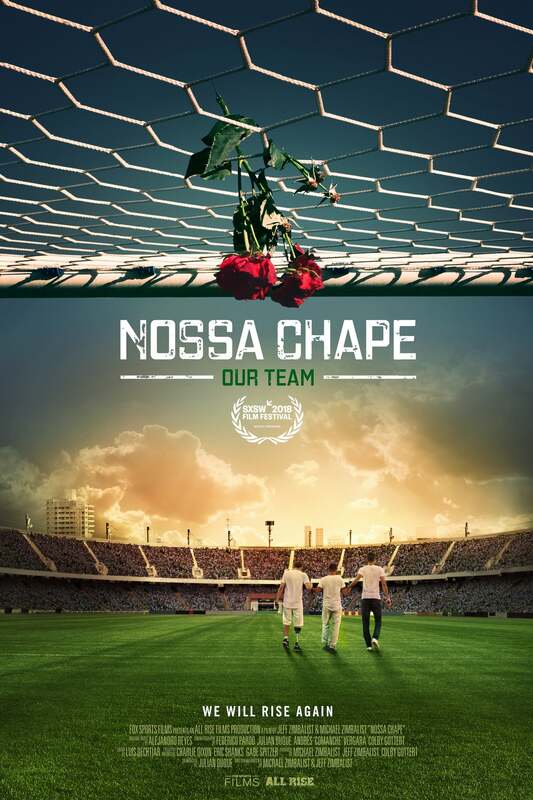 We're screening the heartbreaking and inspiring film Nossa Chape as part of a fundraising effort to benefit the Kino Border Initiative. In addition to the film, there will be a SILENT AUCTION with items graciously donated by Phoenix Rising Football Club , including a PHX Rising scarf signed by Didier Drogba, a poster signed by Landon Donovan, match tickets, a Drogba bobble-head, a team-signed ball, a 50/50 raffle and much more! A portion of the ticket price will be donated, as well. Even if you want to skip the film, please come to support the Kino Border Initiative by bidding on these incredible auction items! PLEASE bring new/used clothing, bath towels, hygiene items, new/used shoes to donate! NOSSA CHAPE tracks the rebuilding of the Chapecoense football club in Brazil after an airplane carrying the team crashed on November 28th, 2016, leaving all but three of the players dead. Los Bandidos is hosting the screening to benefit the Kino Border Initiative and their facility, Casa Nazareth in Nogales Mexico. The Nazareth House is a shelter for migrant women and children, to respond to their vulnerability in the streets of Nogales, Sonora. It is a safe space where women and children can bathe, eat, sleep, call their families and reflect on their experience. Directed by Julián Duque | Starring Real Life People!